When Furious 7 hits theaters next weekend, it will be the last time the late Paul Walker will ever be seen on the big screen. The actor passed away in November 2013, while on a brief Thanksgiving hiatus from shooting Furious 7, which lead to the production shutting down for several months, not only for the actors to mourn their friend, but for the filmmakers to figure out how to give him a proper send-off. We reported last April that the actor's brothers, Cody Walker and Caleb Walker, served as stand-ins for Paul when production resumed, but now we have new details about how visual effects artists re-created the late actor. The Hollywood Reporter reveals that Peter Jackson's Weta Digital effects house took unused footage from previous Fast and Furious movies to re-create a digital version of Paul Walker for the rest of the Furious 7 production. The process is said to be similar to the one used on the 2000 Best Picture winner Gladiator, where visual effects artists used footage from outtakes to digitally re-create actor Oliver Reed, after he suffered a fatal heart attack during the production. A similar process was also used to digitally replace late actress Nancy Marchand, after she passed away when The Sopranos was in production. Furious 7 producer Neal H. Moritz touched on the process briefly in the production notes for the upcoming sequel. Here's what he had to say. "Then it came to how could we actually finish Furious 7. We had shot most of the movie with Paul, but we wondered how we were actually going to make this work. I have to say, he was looking down on us. Because of unused footage that we had from previous movies and the use of new technology, we were able to complete the film inspired by Paul's spirit and give him and his best-known character a perfect cinematic send-off. This movie is a testament to his legacy." /Film also spoke to Furious 7 director James Wan, who wouldn't specifically say which shots employed a digitally-created Paul Walker, but revealed that he wanted to use as much of the actor's performance, before his passing, that he possibly could. "I'm not gonna say specifically what was what, because I think it's very important that people go into this movie not fixated on trying to work out which is Paul, which isn't Paul. I want them to just watch the movie and enjoy the film and be caught up in the emotion of it all. We worked so hard so that they don't have to do that. And so I think that's very important and I don't wanna kind of fuel that fire so to speak. Maybe years from now, I'll talk about it or maybe at a later day on the track. But needless to say, yes, I wanted to use as much of real Paul as I could. And if that meant stealing a look from the previous movies or whatever, that was the way to do it. I think it's just from a sentimental point of view, I think it wanted to be that." Furious 7 was showcased at a secret screening last week during the South By Southwest Film Festival, where it drew largely positive reviews from fans and critics alike. 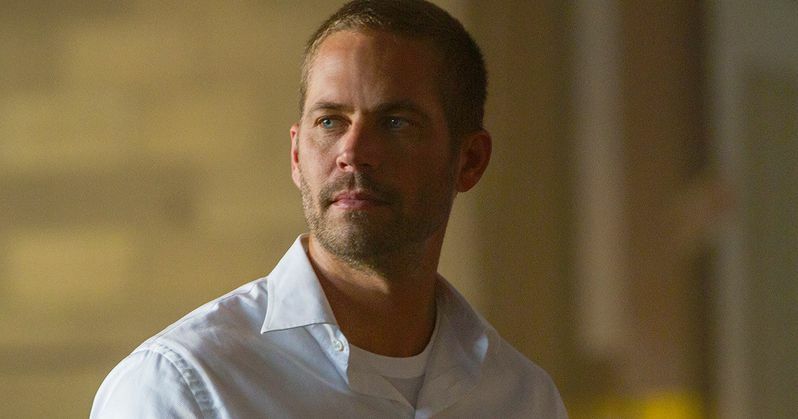 Are you looking forward to seeing how Furious 7 pays tribute to the late Paul Walker? Let us know what you think below, and stay tuned for more on this action-thriller as we get closer to the April 3 release date.